Delivery of Dom Pérignon gift baskets in Malta. 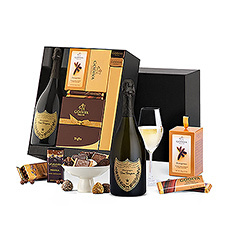 Discover our luxury Dom Pérignon champagne gift sets with flute glasses and gourmet hampers. Dom Pérignon is produced by Moët et Chandon and was the first prestige cuvée when it was introduced in 1936. 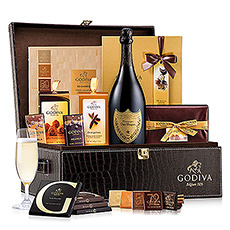 Send a luxury Dom Pérignon gift basket with fine chocolates and delicacies to Malta. 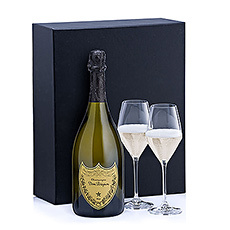 The famed Dom Perignon champagne is often bought as a thank you gift. 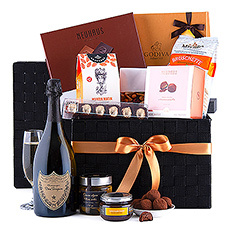 Dom Perignon gift baskets are most often given as a corporate gift, but they are a wonderful way to celebrate any special event. 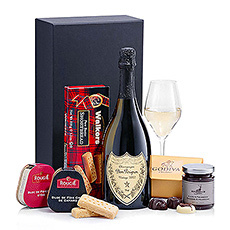 Dom Perignon is produced by Moët et Chandon, and is a brand of champagne. Dom Perignon refers to 'Benedictine', a monk who was a very important quality pioneer for champagne wine. It was the first prestige cuvée, an idea proposed by Laurence Venn, an Englishman. 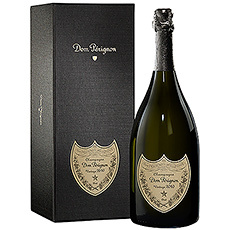 The first Dom Perignon was released for sale in 1936. It is a vintage wine, which means that it's only made in the best years, and all grapes used to make Dom Perignon were harvested in the same year.